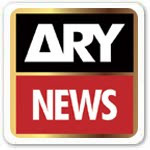 ARY News Channel shows news from all around the world and Pakistan. Open the Jadoo Login Page (https://myjadoo.jadootv.com/) in a separate browser. My Jadoo > Channels and Choosing ARY News. Copy the link and then go to your my jadoo and click on add a channel then paste the link where it says channel URL and then name the channel ARY DIGITAL then for the country pick pakistan. There you go you are all set. Now you can watch it on your Jadoo Tv. yes, can anyone put up HUM TV url? Thanks. Did the ARY News and Digital channel stop being streamed? I have tried for past two days and it keeps saying that it is not being streamed. Please help! Ary Digital is now available to be added on Jadoo. the link for ARY news doesnt work...it says the link should not be "http"
Can someone provide "real" url without http// please? Please enter valid streaming url. please advice the geo second link is working fine but the first one had the same problem. any one got mms:// link... Http doesn't work for jadoo... Any suggestions? Anyone who can kindly respond n help i'll b obliged. Need URL for Ary News, Geo n Xpress News. Please help to find rtmp, rtsp link of Geo New. Seems like this link isn't valid anymore? Can anyone else verify?